Meeting planners can enjoy the diversity of Jamaica’s offerings, as the island boasts the most diverse and largest meeting facility in the English speaking Caribbean. So whether you’re planning your next seminar, corporate retreat, reunion, team building and leadership workshop, or conference, Jamaica is the ideal location to host incentive groups of all sizes from small and intimate to large-scale and suited to your budget. And while in Jamaica, ensure that it’s not all about work and no play and make time to enjoy the variety of the island’s attractions. Come and get your Bond inspiration at the 52-acre waterfront property in Orcabessa Bay, GoldenEye. Tucked away in Rio Bueno, Trelawny, the Melia Braco Village is perfect for intimate meetings. The hotel’s two intimate meeting venues are perfect for small to medium-size groups, and there is a variety of outdoor and indoor public spaces for all types of events and special occassions. With a meeting capacity for up to 100 people, the all-inclusive property also offers Wi-Fi in all public spaces. Half Moon has been the destination of choice for those seeking an incomparable group, meeting or incentive experience for more than half a century. 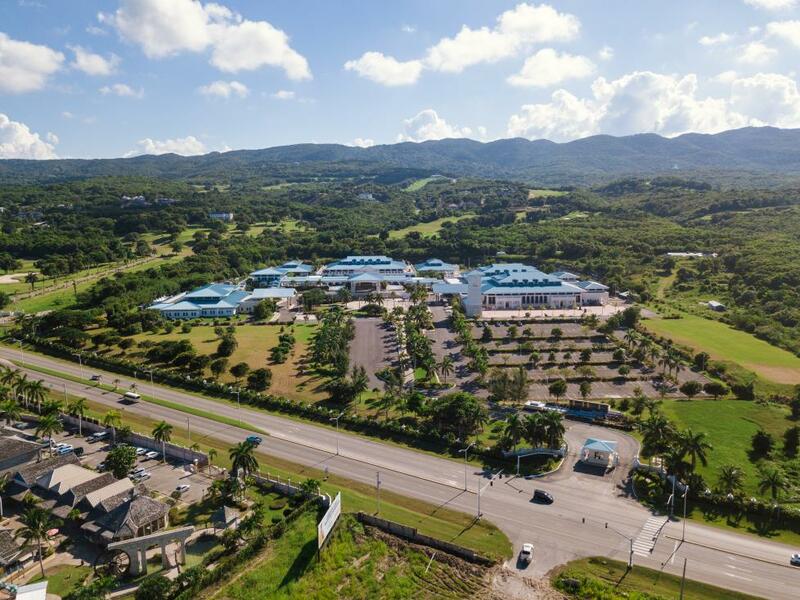 Just 10 minutes from the Sangster International Airport in Montego Bay, its expansive 400 acres offers over 40,000 square feet of flexible indoor and outdoor space. Whether seeking a private Board of Directors retreat or an exclusive location to host an international conference, Half Moon’s stylish venues can suite any formal or informal meeting needs. A revered landmark in capital city Kingston, the Pegasus as it is affectionately called, rises 17 stories and offers 14 venues of flexible function space for your business, family, charity or social functions up to 1,000 persons. It is within walking distance from many international offices and embassies as well as historical sites, cultural centres, shopping areas and restaurants. The Jamaica Pegasus is renowned for its weekly activities. After a day of business meetings, take a break and visit Kingston’s newest attraction. The Peter Tosh museum is dedicated to the life and work of Peter Tosh, a founding member of the critically acclaimed Jamaican reggae group, the Wailers. Guests can expect to have a multidimensional experience inclusive of narratives, visual and technologically interactive elements as they explore the life of Tosh. A collection of Tosh’s memorabilia is on display to the public for the first time. Iconic artefacts ranging from his world-renowned unicycle to his M16 guitar and Grammy Award for Best Reggae Album are on show.